Wow!! Glo just Introduced a New Tariff Plan Glo Jollific8 and it Let You Enjoy 8 Times Value Of Your Recharge, this plan is definitely wow!! You just imagine you recharge #100, then you get 800% Bonus which amount to #800 plus an additional 10mb, thats another #50 making a total of #850, you confused?? What am simply saying is, for a recharge of #100 you get a total of #850 as bonus, pls tell me isn’t that great. Glo has been known over time with very crazy Tariff, both on data and of course on call, they where the same and only Telecommunication company in Nigeria to offer a huge 10gb of data for just #2500, oh… Sounds enticing??? Check here for more details. The Glo Jollific8 amazing tariff package works for all new glo subscribers and it sure offers them 800% Bonus on all recharges. 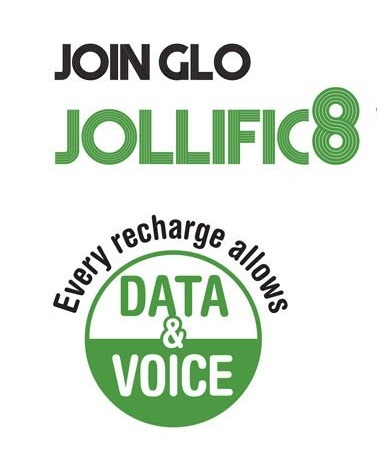 Glo Jollific8 lets its new users enjoy 800% bonus on every recharge which simply means you get 8times value of every recharge you make on your new Glo sim, interestingly the glo bonus can be used to call all local networks, browse freely and get free data for internet surfing. 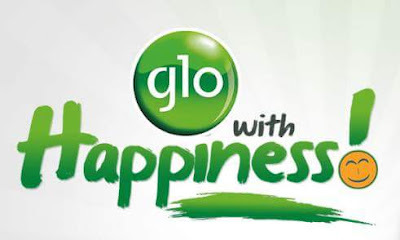 One main clause about this plan is that, Its works only for new subscribers which means if you actually wants to enjoy this, you need to get yourself a new Glo SIM, for now this seems to be the only life line to Glo Jollific8 tariff plan, after which you can start recharging to enjoy 8times value of your recharge. How to Check Glo Jollific8 Bonus and Balance ? Just dial #122# for Voice/data benefits and *606# for data gift bonus. If you ask for my opinion about this, it seems good but then looks like a step to get more customers and sell more sim card, but biko my area no get glo network ooo. We are equally using this medium to employ Globacom to pls and pls, go round the states in Nigeria, and work on your network coverage instead of dashing out money to already made musicians, the only thing that can actually make someone stick or use your network is if they are actually able to use it, I can recall several times i actually have purchased glo line, but end up dumping it due to very poor network coverage, hardly can you browse with it in some states in Nigeria, biko make una do something ooo let me enjoy 10gb for #2500 data ooo…lol.